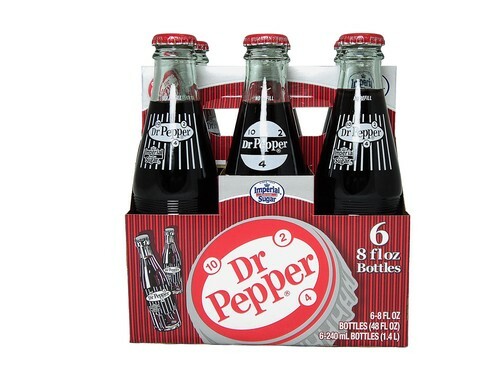 FRESH 6 pack 8oz glass bottles of Dr Pepper made with IMPERIAL PURE CANE SUGAR!!!! Best Dr Pepper left on the planet!! Soda Emporium is YOUR source for cane sugar Dr Pepper and to buy Dr Pepper online! If you are passing through Temple or Belton, Texas stop at any HEB grocery store and stock up on TBC DP. This is my ritual when I am driving north on I35 on return visits from Denton to friends/family in Austin.